Photo: Casa Robles, C/ Alvarez Quintero 58. Eastern Mojave Vegetation Casa Robles, C/ Alvarez Quintero 58. 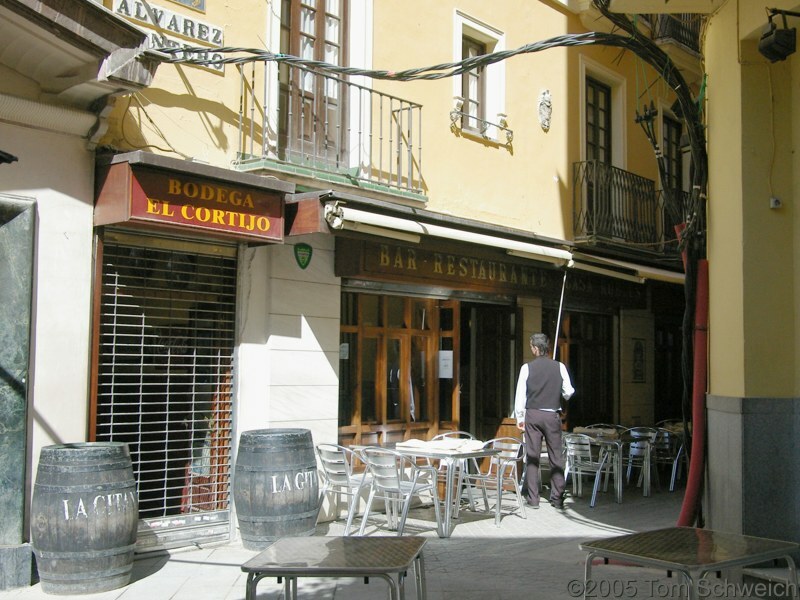 We also found a restaurant where we had accidently eaten the first time we visited Sevilla. It's was called Casa Robles, and when we walked in, we had no idea it was one of the most expensive restaurants --- and best restaurants --- in Sevilla. Also, in Arturo Perez-Reverte's book The Seville Communion, he has his main character eat dinner at Casa Robles.